Looking for a delicious and easy dinner recipe? 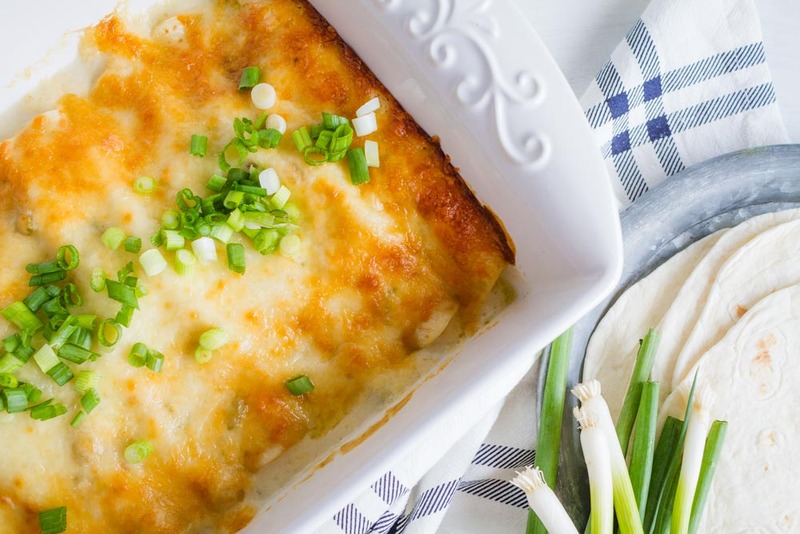 Check out these White Chicken Enchiladas. They are made with a creamy white sauce instead of the traditional red sauce. 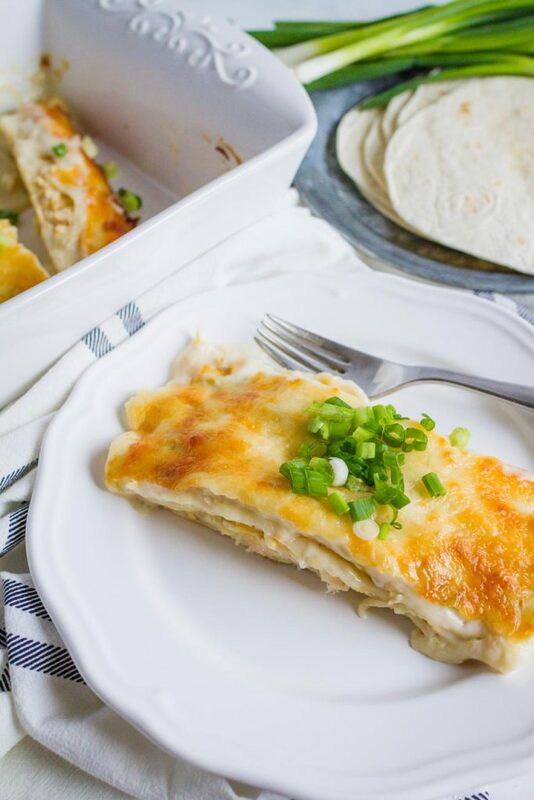 They will become your go-to Chicken Enchiladas Recipe! How was your Holiday break? Ours was so busy and fun that it went by so fast! It’s hard to believe that the Holidays have come and gone just like that and we are already back to the grind of school and schedules. 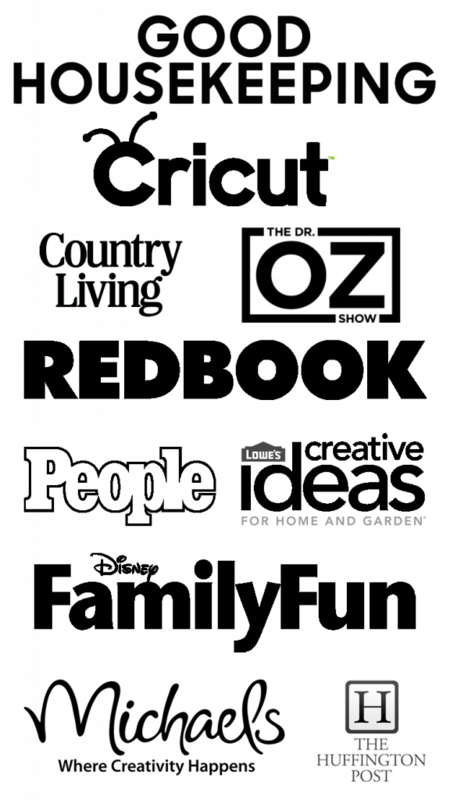 It’s a busy stage of life right now for my family and having quick and easy dinner recipes is really important to us. 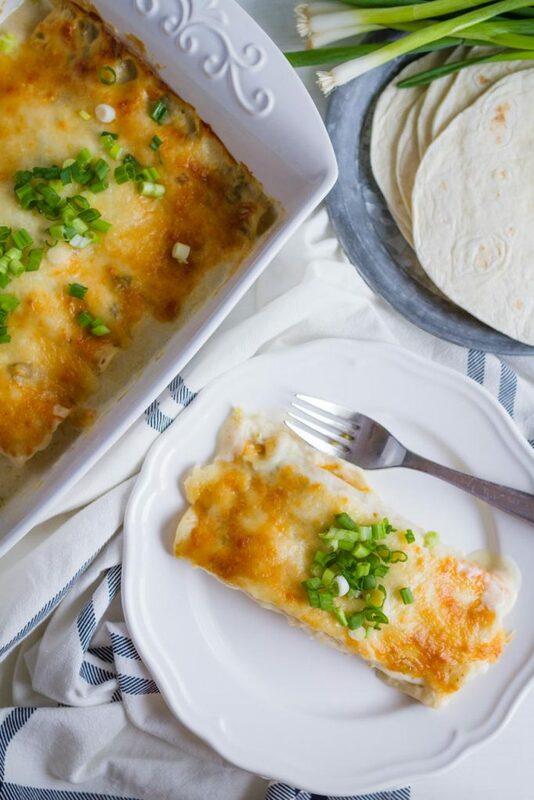 These White Chicken Enchiladas Recipe are one of our very favorite dinner recipes. I love gathering the family to eat around the dinner table every night, even though sometimes weeknights are super crazy. It’s really important for us as a family to try and eat together every night. So we rely on dinner recipes that are quick and easy…while at the same time delicious for the whole family. 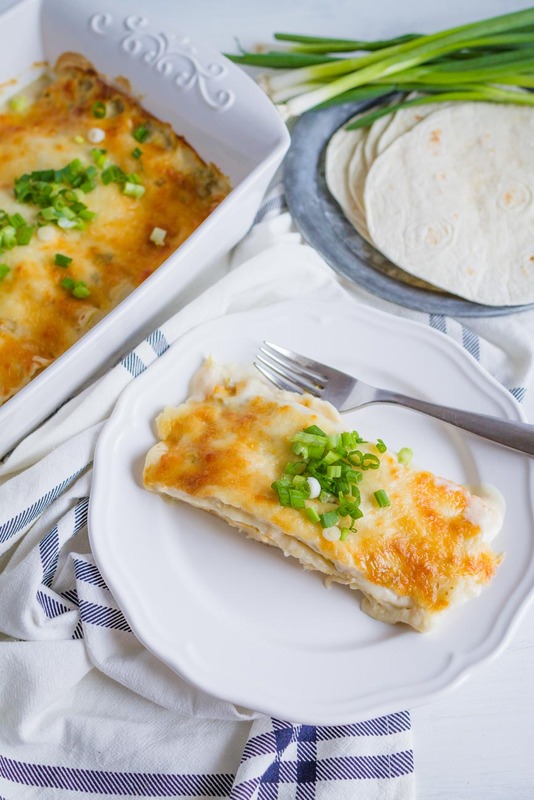 This Chicken Enchiladas Recipe is one that my kids beg for on a monthly basis! 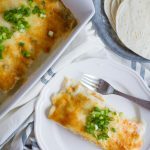 These White Chicken Enchiladas are a family favorite. They whip up pretty quickly and are a welcome site for everyone in the family. They also make great leftovers…if you are lucky enough to have any left over. We will sometimes make a double batch of these and then freeze the extra pan before baking it. Then we can pull it out and let it thaw for an hour before throwing it into the oven. 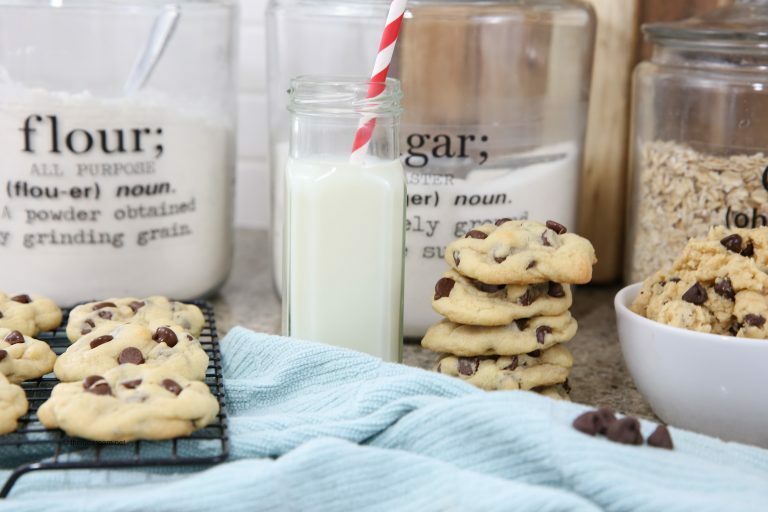 It takes about 15 minutes longer to bake when we do this and they taste just as delicious! Melt the butter in a skillet. Sprinkle flour over melted butter and whisk to combine. Cook for 1 minute to remove the flour taste. Remove the skillet from heat and whisk in broth. Place back on heat and cook until the mixture has thickened and is bubbly. Cool sauce for 3-5 minutes. Add sour cream and chilies and stir until sauce is smooth and sour cream is completely dissolved. 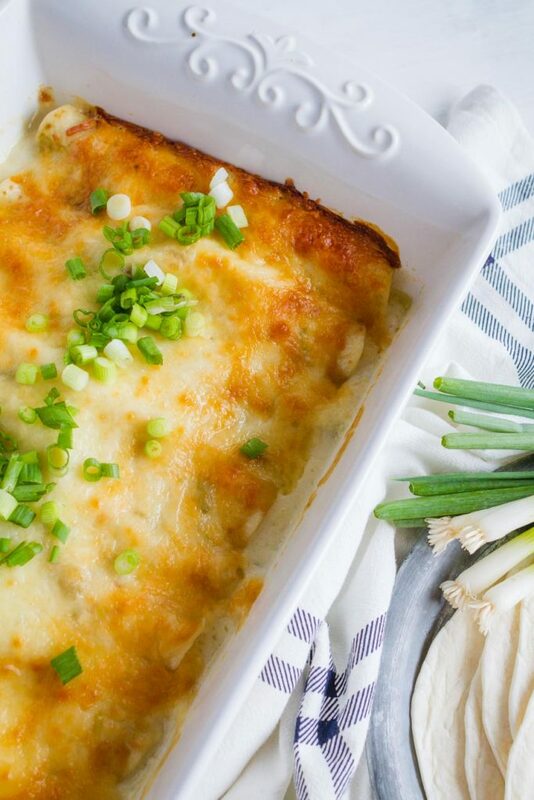 Pour sauce over enchiladas and add remaining cheese over top. 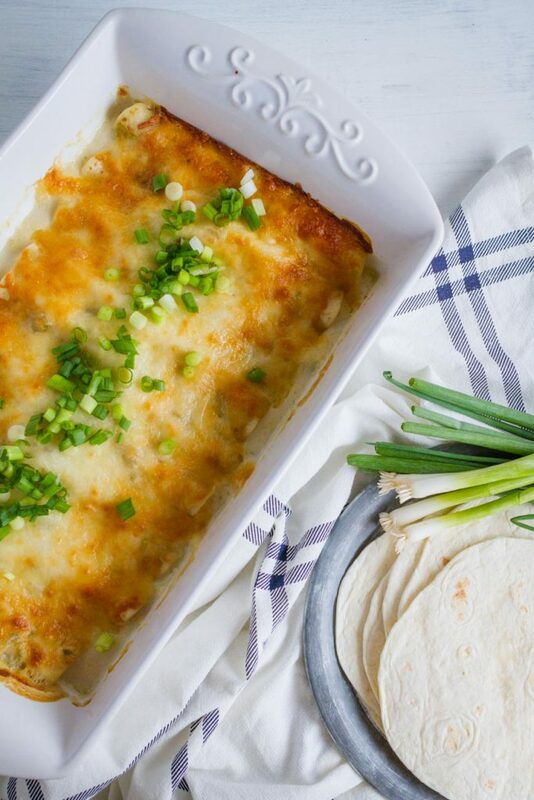 Bake in preheated oven for 20-25 minutes or until enchiladas are heated through and sauce is bubbly. Turn on the broiler and broil until top is nicely golden. Top with chopped green onions and serve. 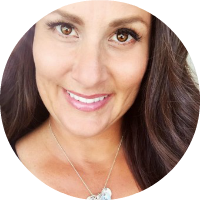 If you like this, I would love for you to pin it! Made this tonight for the first time and we loved it! So much better than using cream of chicken soup. Thank you for a delicious meal! You are welcome! I agree…don’t love using cream of chicken soup either! Camille- So happy you enjoyed the recipe. Thanks! I think I would like this but not sure about my hubby. Does it have a strong sour cream flavor? Lori- It really doesnt. 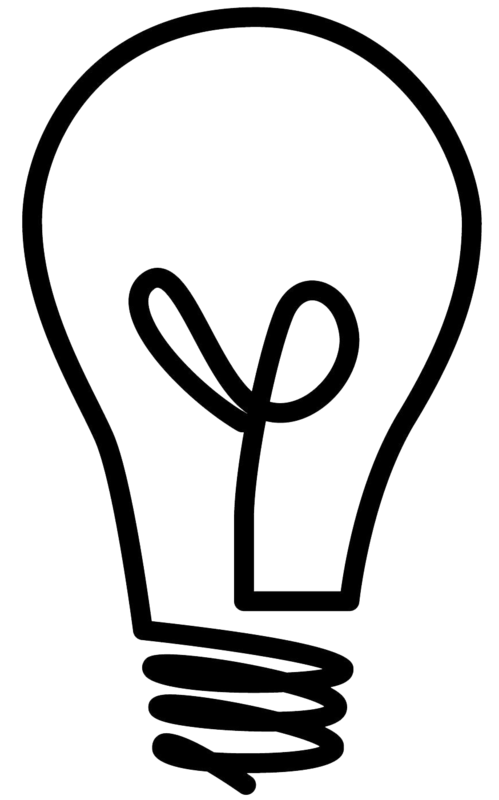 You should try making it. I have made these several times. They are so delicious we can’t get enough of them. So glad to hear that! Thanks for letting us know! Pepper instead of green chilis. (Flour tortillas get soggy if you put them in any kind of liquid.) My white enchiladas were a hit the way I made them. I’ve made them 3 or 4 times, delicious! Do you know the serving size and calorie count for this. I have made it before and we love it but I am trying to track the nutritional info. Thank you! Heather- at the bottom of the recipe it should show that info. Thank you!